Young Tiger is presently doing 'Jai Lava Kusa' in the direction of Bobby. Shooting of this film is going on in full swing and the latest update suggests that the unit is busy picturizing the wedding ceremony of lead pair NTR - Raashi Khanna. It is known that NTR is playing triple role in the film. 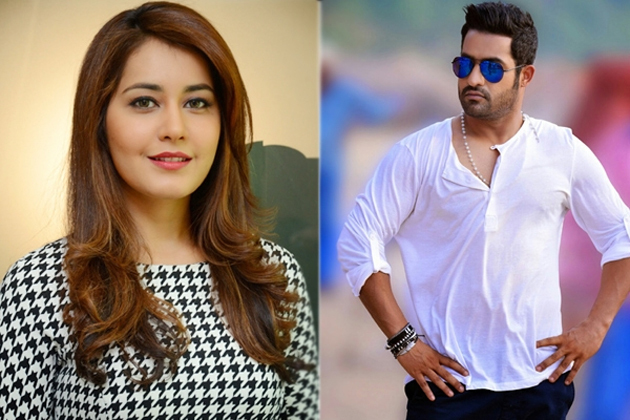 Raashi Khanna is pairing one of the three characters. Bobby is said to be picturizing this marriage ceremony in the surrounding location of Chilkur. On the other hand, there is another interesting update regarding this crazy project. 'Pelli Chupulu' fame comedian Priyadarshi is said to be playing NTR's friend role. Unit members are saying that it is a full length character and he will get very good recognition after the release of 'Jai Lava Kusa'. Along with Rashi Khanna, Nivetha Thomas is also a heroine in this film. Nandita Raj, Hamsa Nandini are also playing important roles in the film. Devi Sri Prasad is composing music for this film. Filmmakers are planning to release the First Look of the film on May 20, on the occasion of NTR's birthday. It is known that the filmmakers have released the title logo on the occasion of Srirama Navami. Even Aamir couldn't get a ticket!